Home New York Personal Injury Law Firm New York Car Accident Lawyer How Much Does a Lawyer Charge for a Car Accident? After a serious auto accident resulting in bodily injuries and extensive property damage, victims may be overwhelmed by growing piles of medical bills and the lost income of being out of work for weeks on end. Having a qualified attorney represent your case can make the process of recovering monetary damages from at-fault parties much easier, but many hesitate to seek legal counsel based on cost alone. Litigation experts in New York City have a reputation for being expensive, so how much will it set you back to retain a trusted personal injury lawyer to help you get the compensation you justly deserve? How much does a NYC attorney charge for an auto accident? Whether you live in the Bronx, Brooklyn, Long Island or another borough, the good news is that most reputable New York personal injury attorneys –including those that specialize in motor vehicle accident claims – operate on a contingency fee basis. What does this mean for the client? Law firms that offer their services on contingency have the financial resources to take on claims without up-front money from their clients. The key benefit of contingency fee legal structures is that you, the client, pay absolutely nothing if the case is lost, or an out-of-court settlement isn’t achieved. Since your lawyer won’t get paid unless compensation is obtained on your behalf, they are extremely motivated to build the strongest case possible and maximize the value of your claim. Why would law firms take on such financial risks? Firstly, they will only accept car accident or personal injury claims that have a high likelihood of success. 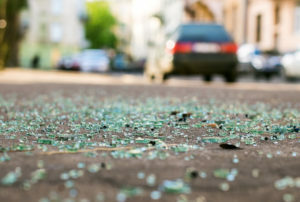 Regardless if you were injured in a rear-end collision or a multiple-vehicle accident, if liability is clear and severe injuries merit litigation, it will cost you nothing to hire an attorney with Friedman, Levy, Goldfarb & Green. Like any law firm that prides itself on providing client-focused attention, we understand that car crash victims are rarely in the position to pay for legal representation. In cases involving more catastrophic or disabling injuries, our clients are barely able to pay their day-to-day expenses and medical bills, let alone those for court filings, investigations and litigation costs. Instead of burdening the injured client even further with up-front legal costs, your lawyer will foot the bill and deduct the fees from their percentage of the damages won. In this way, there is no need to deplete your savings or accept the first low-ball settlement that insurance companies offer. Remember that taking a complex injury case to trial can be incredibly expensive. 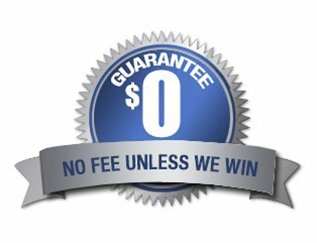 This is yet another advantage to the contingency-fee arrangement – something that smaller, less established law firms are unable to offer. In the end, the higher your settlement or verdict, the better it is for both you and your car accident lawyer. How do contingency-fee arrangements work? During your initial consultation, your attorney should explain their contingency fee arrangement in detail. These fees vary from region to region and are limited by state laws. Generally speaking, you can expect a fee from 25 to 40 percent, with 33 percent the national average. This percentage may also hinge on whether the case goes to trial or settles out of court. Some law firms will collect a percentage of the gross payout (before court fees and litigation expenses are deducted), while others will take a pre-established portion of the net award. What percentage of the award will you claim? Is this percentage taken from the net or gross settlement or award? What are the anticipated costs to take on the case? Are all legal fees (investigations, court filings, expert witnesses etc.) included in the contingency fee agreement? Do you charge an initial retainer as well? Retainers can vary from a few hundred to several thousand dollars and are paid as an initial lump sum. If payment wording is unclear in the contract or the attorney is vague about their billing procedures, it’s a good idea to move on. You need to feel confident that you’re working with an honest, reputable car accident lawyer who has your best interests at heart. When vetting your New York personal injury attorney, always look for someone who is experienced in complex car accident cases, is candid about their fee structures, and has a proven track record of success. Friedman, Levy, Goldfarb & Green can help you determine whether legal action is right for your accident case. Reach out for a free and confidential consultation.